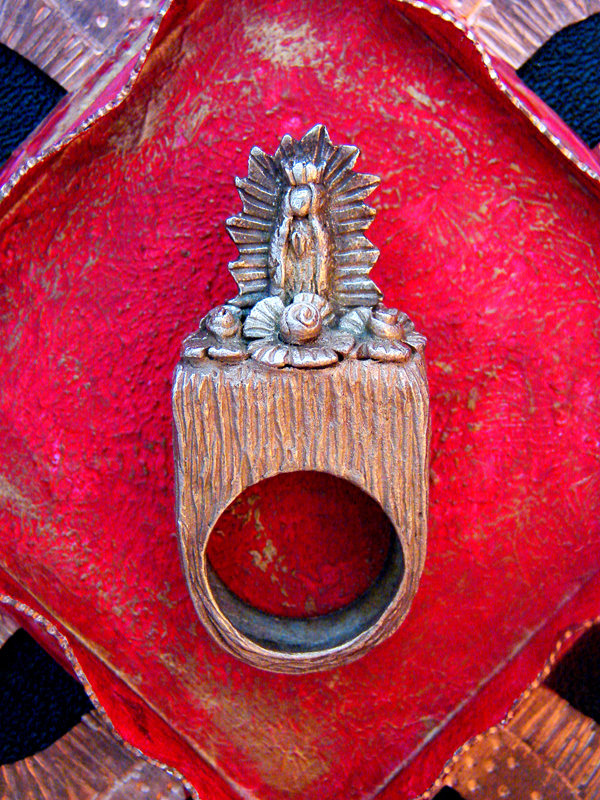 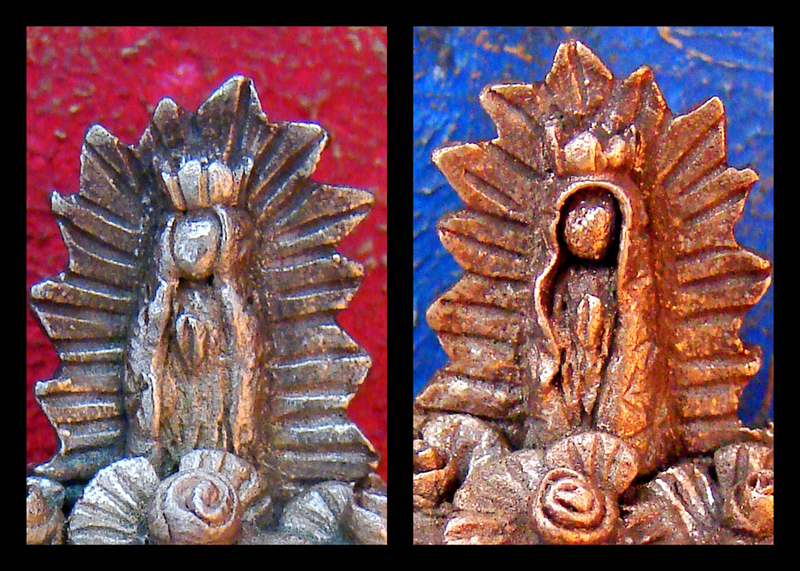 For my third ring for RAW (Ring a Week), I decided to create a mini altar for the Virgin of Guadalupe. 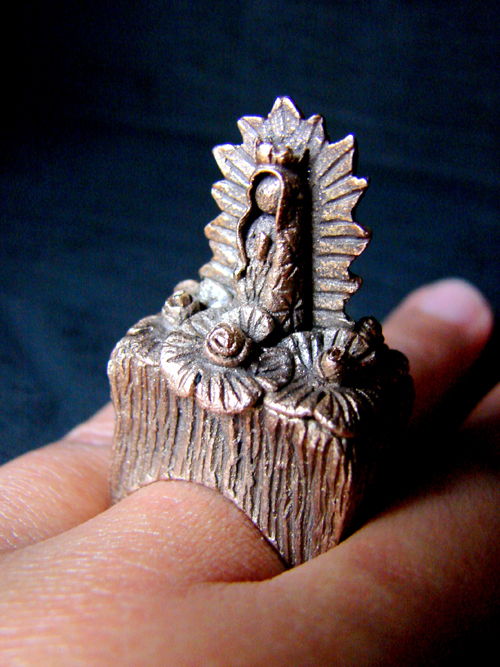 I knew I will be getting in some trouble during the process but I wanted to do it. My first idea was to make a hollow form and build the altar on top of the ring. 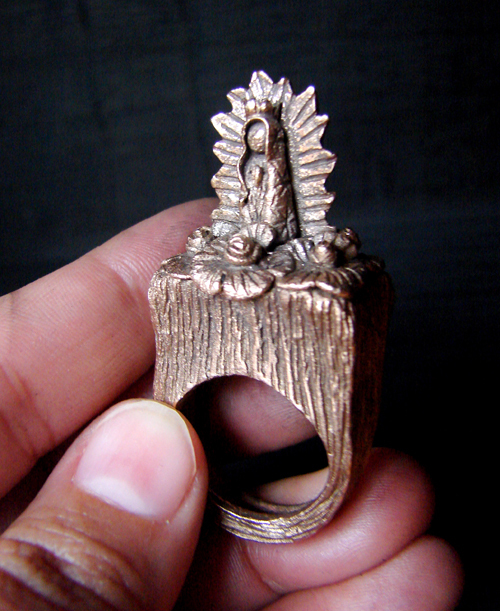 My metal clay of option was FastFire Bronzclay and I did have some challenges during the making of the ring. I managed to form the hollow structure of the ring, after having some difficulties in the process !!!! This is my ring before being fired in my kiln! 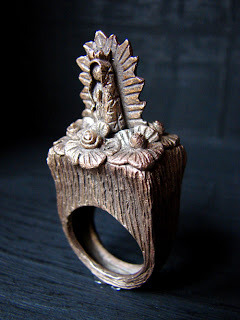 After firing the ring !